Google Cloud identifies these as two important healthcare trends. 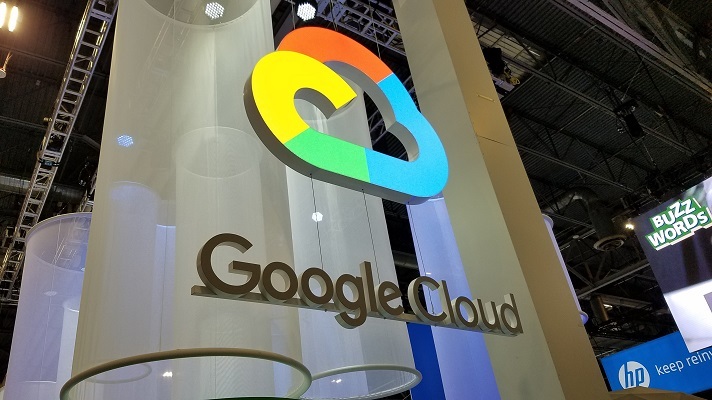 Google Cloud will be focusing on, among other things, data management and advanced data insights at HIMSS19 -- two areas it sees as important trends for CIOs and other IT executives to stay focused on in the year ahead. As the amount and types of healthcare data grow, it is becoming increasingly complex to manage, and ironically more complex to use for insight generation, said Dr. Gregory Moore, vice president of healthcare at Google Cloud. "Unlocking the value of complex, disparate healthcare data sources is a significant challenge for many organizations," he said. "We believe that cloud-based technologies offer a significant advancement for the management and understanding of data." First, cloud-based technologies enable the storage and management of multiple healthcare data types – imaging, clinical, genomics – securely and at scale, said Moore. In addition, healthcare organizations are increasingly using advanced analytics tools such as machine learning and artificial intelligence to extract insights from data that drive differentiation, cost reduction and improved user experience, he added. "These capabilities are key tools in the transition to value-based care," said Moore. "As healthcare organizations move from activity to outcome-focused they are increasingly relying on new data sources and analytics technologies to enhance patient care and guide administrative decision-making." Open standards are critical to enable the application of advanced data analytics techniques to healthcare, he said. The creation of large, diverse data sets, sourced from multiple organizations, can reveal patterns or associations not easily discovered in smaller samples, he added. "These data sets help enable a holistic understanding of the entire patient context – daily routine, genetic makeup, population-level trends in the ethnic group or region – that can help increase the accuracy of diagnoses and treatment plans compared to any one of these data points in isolation," he explained. Beyond clinical care, advanced healthcare analytics can facilitate efforts to promote operational efficiency, resulting in improved patient experience and reduced cost, he added. For example, analyzing patient visit data sets across health systems, and combining them with information on local health trends, can lead to optimization of processes such as ER triage, patient registration or even staffing prediction models. The amount of electronically stored healthcare data is growing exponentially. The transition to electronic health record systems, innovations in genomics and medical imaging, and the overall explosion of Internet-connected devices and applications are key drivers of new data generation. "In addition, more and more, cloud providers have become an integral part of the healthcare ecosystem," said Moore. "Cloud-based services provide an ideal ecosystem to manage large amounts of data and to jumpstart advanced analytics initiatives by making it easy and cost-effective to host and share data online." In addition, cloud service vendors can serve as a catalyst for turning data into insights because their core competencies – complex data management, analytics at scale, machine learning – are complementary to the clinically focused expertise of healthcare provider organizations, he added. "Cloud providers also help by providing a robust IT platform with native security and privacy features, high availability, low operational overhead, and global connectivity," he stated. "They also operate at economies that create an optimal price-to-value equation." Further, healthcare organizations using cloud services can take advantage of the latest technologies, such as integrated analytics and machine learning tools that reduce the need for individual researchers and clinicians to become experts in data science, he said. "Cloud-based platforms are also an ideal solution for organizing and processing data from the millions of Internet of Things devices because they provide practically limitless storage, scale and computing resources," he said. "Run, do not walk to the cloud," said Moore. "We believe that many of the challenges of healthcare can be informed by unlocking the power of data. The aggregation and analysis of multiple data types via advanced analytical tools such as machine learning will allow healthcare organizations to make improvements to care delivery today, while simultaneously preparing for the outcomes-based world of the future." In order to do this, healthcare executives must first identify where data is captured and prioritize what to move to the cloud, he added. Second, he said, they must migrate the data into the cloud and organize it so it can be useful. "Third, derive insights from the data in order to reduce operational overhead," he advised. "The adoption of cloud-based technology by providers will help to revolutionize our understanding of care and care delivery." Many health IT professionals worry these efforts will take considerable effort to implement and the payoff may not be realized immediately, Moore added. "However, there can be both immediate and long-term benefits," he explained. "For example, to move to the cloud, organizations often go through a technological modernization that can almost immediately result in reduced operational overhead or lower total cost of system ownership. In the long term, cloud technologies are the critical starting point for providing physicians and health systems the tools to improve quality of care and enable population health."